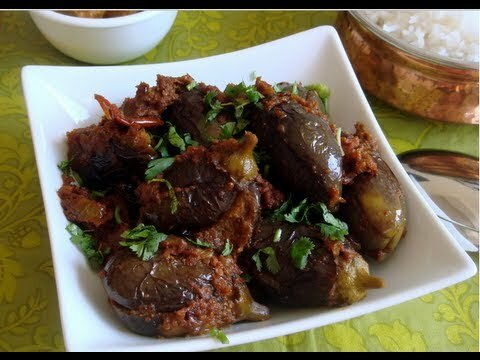 Take brinjal and split into four. Do not separate. Add all the powders to the pickle and mix properly. Stuff this mixture into the brinjal and steam for five minutes. Remove and keep aside. Heat oil, add all dry spices, chopped onion, ginger-garlic paste and fry till golden brown. Mix steamed brinjal with this mixture and serve hot, garnished with chopped coriander leaves.